Looking for an unusual hiking location? In the shadow of Mt. Fuji you will find a beautiful, and at the same time what may be a little scary, forest. 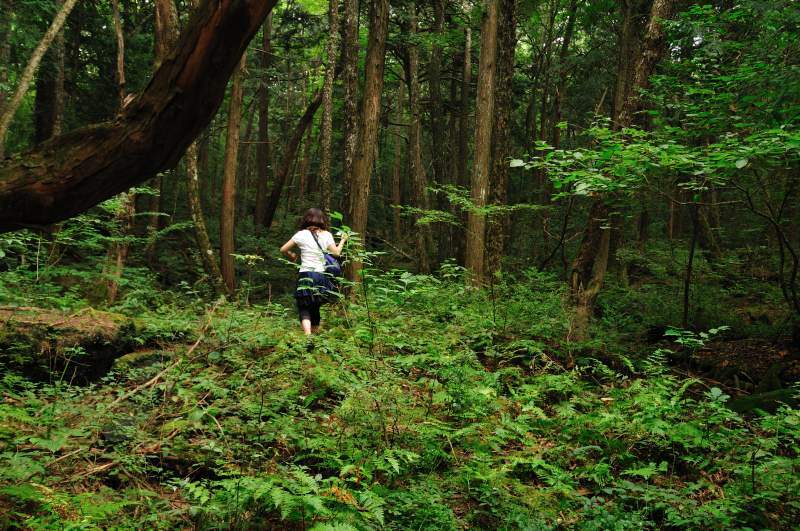 Known in Japan as the “suicide forest,” it is located at the base of the sacred Mt. Fuji and gives troubled people a place they think best to end their lives. When hiking the forest it is probably best to keep on the trail, otherwise you might end up running across something you might not have want to have seen. Watch the above video to get a great feel for the character of the forest and hiking it. And if you believe in ghosts, you might want to catch the 2015 Hollywood movie, The Forest, which is themed around Aokigahara forest and the supernatural. There is also the 2016 Hollywood movie, The Sea of Trees, which again features the famous forest. 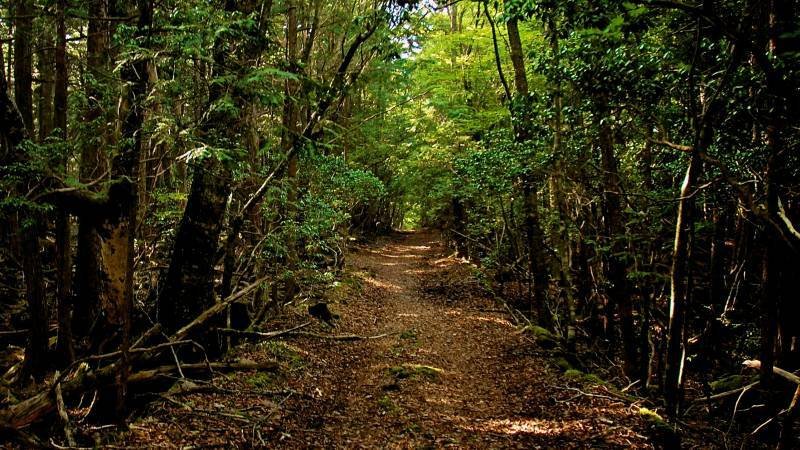 Aokigahara (青木ヶ原), also known as the Suicide Forest or Sea of Trees (樹海 Jukai), is a 35-sq km (14 sq mi) forest that lies at Mount Fuji’s northwest base. The forest contains a number of rocky, icy caverns, a few of which are popular tourist destinations. The forest has a historic association with demons in Japanese mythology, and it is a notoriously common suicide site. For this reason, a sign at the head of the main trail urges suicidal visitors to think of their families and contact a suicide prevention association. 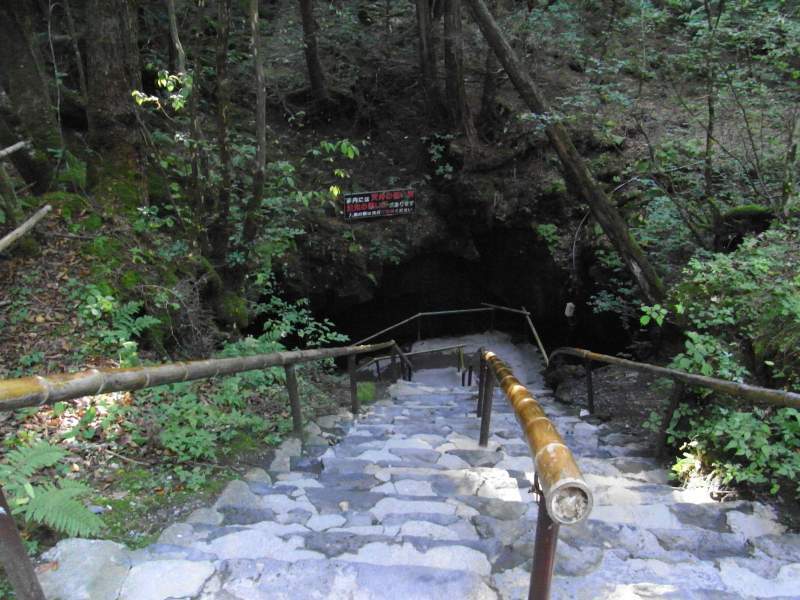 There are designated trails in the Aokigahara forest leading to the tourist attractions the Ice Cave and Wind Cave. Instructions on how to view 360° video on mobile devices. 1. Under “Video Options” (located at top of page) select the VR 360 video. 3. You will be taken to the YouTube app (if installed on your phone) where the video will play. 4. To return to this page tap the “return” button on your phone.